The righteous anger of the Parkland students raises hope that gun violence can finally be treated as a public health problem. It would be hard to look at a picture of an estimated 800,000 people at the student-led March for Our Lives rally in Washington last weekend without believing that we are witnessing something big. And if that crowd didn’t convince you, there were the estimated 800 sibling marches all over the world, where young people joined their voices in protest, announcing their rejection of a society that treats mass killings like bad weather — something that’s unfortunate but unavoidable. 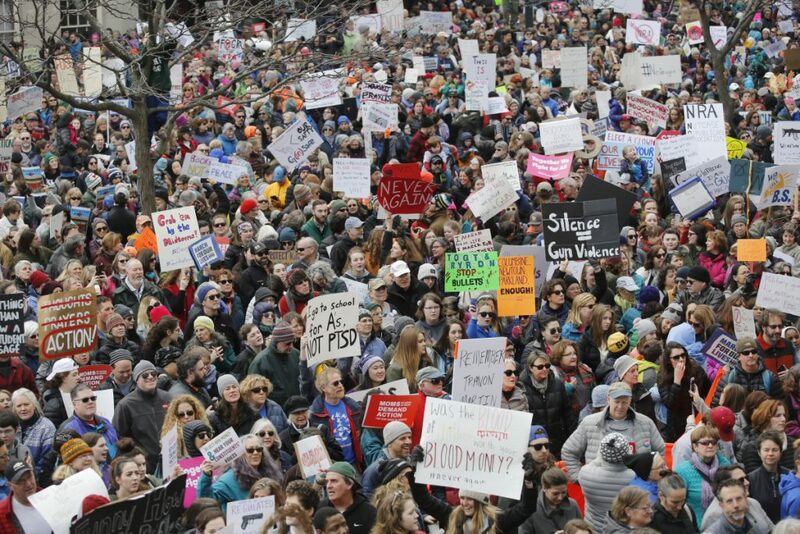 In just five weeks, a movement started by the survivors of the Feb. 14 Parkland massacre has spread — even to Maine, where gun ownership is a way of life. What began as a reaction to one mass killing by one disturbed shooter, has grown into something much larger, fed by the outrage of young people who won’t accept the pay-to-play politics that puts the interests of wealthy individuals and corporations ahead of people’s lives. Their righteous anger provides a much-needed balance to the almost religious commitment of pro-gun absolutists, who see any limit on public access to weapons as an infringement of a “God-given” right to bear arms. The National Rifle Association and its army of one-issue voters has made it impossible to have a rational debate about reasonable approaches to reducing a gun violence rate that stands alone in the developed world. But another, less heralded, event last week also promised to be a watershed moment in the American gun debate. By signing the omnibus spending bill Friday, President Donald Trump also approved lifting restrictions on the federal Centers for Disease Control that have prevented research on gun violence as a public health problem. The NRA-hatched Dickey Amendment has effectively shut down studies since 1997, claiming that the CDC would be guilty of advocacy if it turned up any information that the gun lobby didn’t like. Political pressure has not put any other threats to public health off limits for the CDC. The agency’s research into the effects of alcohol and drugs on drivers and the effectiveness of equipment like seat belts, airbags and child carriers has dramatically cut the death toll in motor vehicle crashes. Research on the driver distraction caused by cellphones and other communication devices is also underway, and it has not been shut down by the telecommunications industry. But when it comes to gun policy, it’s a battle of anecdotes. There is not even agreement on what should be basic facts, such as the number of times a law-abiding gun owner uses a firearm to defend himself or someone else. The public debate is almost always over how to best prevent mass shootings — More guns or fewer? — even though the majority of gun deaths are suicides and more people are shot in domestic violence crimes than in headline grabbing random shooter events. We should be able to develop programs that save lives and let people feel safe when they go out in public without affecting the rights of gun owners to protect themselves and their property. Shutting down research has not made anyone safer. And as a million people in the streets chanting “Enough is enough” can forcefully attest, it hasn’t shut down the debate, either.